Looking for an Upper Division Elective this summer for ESRM & CS? 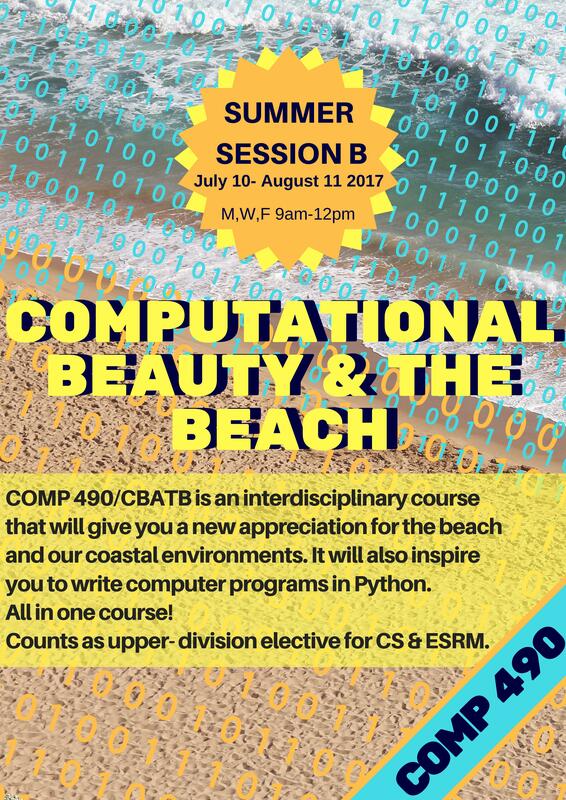 Check out Computational Beauty & the Beach led by Professors Dr. Kiki Patsch and Dr. David Claveau! This entry was posted in Education, Upcoming Events and tagged #ESRMzone. Bookmark the permalink.